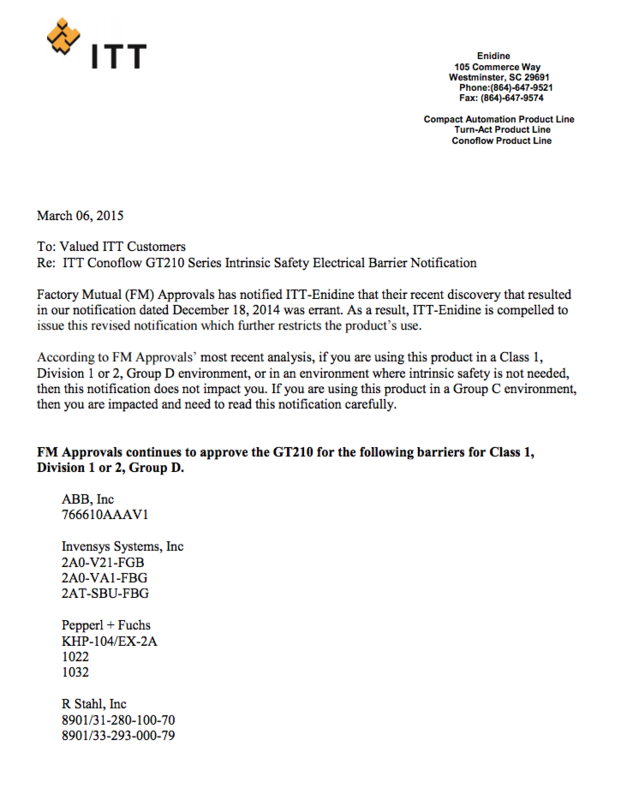 FM Approvals has been made aware that energy limits for intrinsic safety for Class I, Division 1, Groups C and D hazardous (classified) locations may be exceeded when the GT210 Series Transducers are used with certain intrinsic safety barriers. During a recent electrical safety review of the GT210 transducer, it was found that sufficient electrical energy could be provided to the transducer’s coil to generate a spark discharge in the event of a coil failure.  The energy released during a spark discharge will surpass the energy level limits for intrinsic safety for Groups C and D hazardous (classified) locations, and could potentially ignite Group C and D flammable gases. This energy to the transducer can be reduced to a safe level when a suitable intrinsic safety barrier is installed on the 4-20 mA control signal wiring, in accordance with attached Control Drawing 6385547. 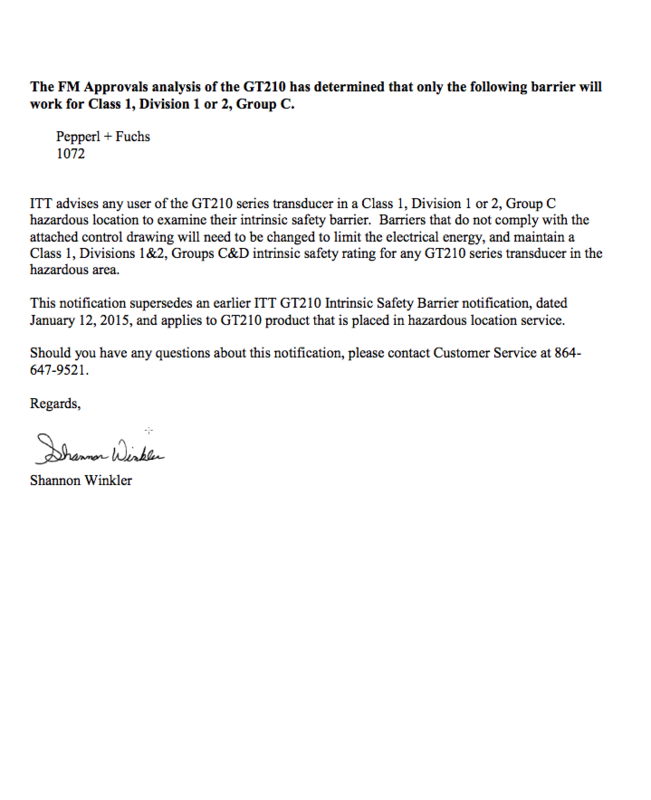 Specific intrinsic safety barriers (listed on prior revisions of electrical control drawings and/or instruction, operation and maintenance manuals) do not limit the available energy to the ITT GT210 series as identified in the attached notification. Further information can be obtained by contacting Jeff Gotthelf, Conoflow Product Engineering Manager at (864) 647-9521.